Past T40 History: Anne-Marie has been on two top five tracks as a featured artist, including Marshmello’s recent #2 hit “Friends”. 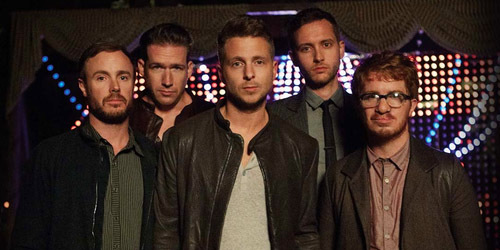 Past T40 History: Tedder’s group OneRepublic last made the top ten here with 2014’s “Love Runs Out”, which went as high as #9. 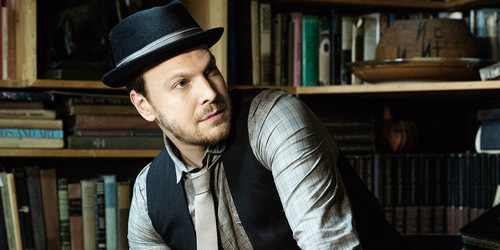 When singer-songwriter Gavin DeGraw released his first album, Chariot, ten years ago, he came on the scene with a fresh sound in the midst of a transitional era in mainstream radio largely filled with hip-hop and rap music. Though initially a failure, J Records found success through placement of his song “I Don’t Want To Be” as the theme on the teen drama One Tree Hill, and with a growing younger audience, his single was given a second chance and run up the pop chart until it hit #1 on CHR radio in January 2005. Since then, the now 36-year-old performer has had his share of significant airplay hits and two top ten albums. Now comes his fifth studio album, Make A Move, released through RCA on October 15, a mixed bag of more polished pop tunes and the occasional gritty rocker to appease a much older crowd. It’s a move that may irk some of his audience and make them question where the real DeGraw actually is. Of the few highlights on this just under 39-minute, 11-track affair is “I’m Gonna Try”, a bluesy ballad where DeGraw proclaims that he’s “gonna try, try ’til I get it back” ’til he finds his love again. There’s a certain vulnerability on this track which makes it stand out, and genre-wise, it’s very different from the overall sound of the album. So, who cares if there are “neighbors callin’ out names” and other trials and tribulations in love? DeGraw’s got stamina, at least for the moment. Also working well is the soft rock ballad “Everything Will Change”. It’s something about the line “It’s time to separate the men from the boys/And the women from the girls/And the tools from the toys” that recalls his earlier songwriting, particularly on his self-titled 2008 album. You can also tell that his summer tour mates The Script may have influenced this one, especially on the “You can talk the talk, talk/You can walk the walk, walk” phrasing in the post-chorus. You’ll find that sounding like other acts is going to be a common theme on this album, but I’ll dig into that a little later. Probably the best of the best is the eighth track, “Heartbreak”, a playful mid-tempo record that sounds like the guy’s having a little fun. He sings, “Heartbreak isn’t what it used to be/now it’s a bedtime story, not a tragedy.” He is so spot on this album when he’s actually on. This one has one of the strongest sets of lyrics on Make A Move. It’s a very poppy record, with hand claps and “ooh-ooh-ooh” runs and the like, but this seems like more a natural commercial progression rather than some of the more forced songs at the beginning. I would love to see this as a radio single. Similarily, other solid pop/rock numbers on here include “Different For Girls”, “Who’s Gonna Save Us”, and the Ryan Tedder co-write “Finest Hour”, which has a quirky set of lyrics about the aftermath of a swinging party but suffers from Tedder’s unoriginal production style. As much as I like the majority of the songs on here, there’s a big elephant in the room when it comes to this album, and that is just how faceless a lot of these songs really are. There’s at least two Maroon 5 rejects on here, the title track (which was co-written Ammar Malik and Benny Blanco, both have previously worked with the band) and “Need”, which is basically a sonic twin to their hit of last year, “Payphone”. You then have the album’s opener, “Best I Ever Had”, which is clearly influenced by Train both lyrically and musically. The song, probably much to RCA’s disappoint, burned very quickly at radio due to the musical similarities and likely indirectly to a co-writing credit by Martin Johnson, who has been all over the place on leadoff singles by Avril Lavigne, Daughtry, Jason Derulo and Karmin. I’ve mentioned several other instances above, but the point is, the guy doesn’t sound like himself overall. It’s just not him. Whether he’s consciously adapting styles or whether the label is forcing him to work with more co-writers for a quick sale (I’m leaning towards the latter), it’s not very memorable. It’s good, but it doesn’t stick. There are some outstanding songs on here, but I’m not sure it’s enough to save the whole experience for me. If you worship the ground that DeGraw walks upon, or maybe just really enjoy hearing his voice after all these years, then I think you’ll still enjoy this album. If you’re a fan of his older material, than you may be disappointed in this album as well. I imagine you also felt the same sentiment hearing “Not Over You” for the first time. That was a drastic change and this is yet another one. Look, I know that he can’t please everyone, but I still want to root for Degraw; he’s a great live performer (I’ve seen him once) and maybe some of these songs will translate better in front of an audience rather than falling flat in the studio. Knowing the situation, look for “Finest Hour” or “Make A Move” to be the second single before this era wraps up early next year. I would’ve suggested “Heartbreak”… or that DeGraw make a move to another label. Listen to Make A Move on VH1’s First Listen. / Pre-order Make A Move on iTunes. Oh “Say”, can’t you see? 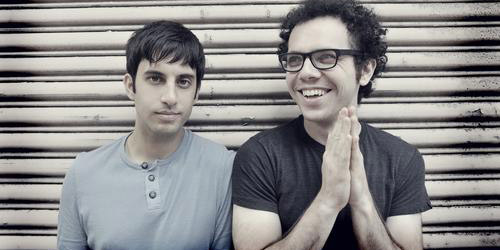 Here’s an act I did a piece on about seven months ago, so let’s see where the duo of Ian Axel and Chad Vaccarino are now. Earlier this year, the band built up a small fan base thanks to the incorporation of “This Is The New Year” into an episode of Glee during the second half of its fourth season. It was performed by the New Directions group as a whole. It aired at the end of January and though the Glee version wasn’t the biggest selling song of the episode despite airing at the end of it, the commercial potential of the original version was properly spotted and it led the duo to sign a contract with Epic Records during the spring. With a bigger label behind them, “Year” accumulated some airplay on both the CHR and Hot AC formats and entered the top 50 on each list, though promotion of the single has ended at both. Now, the duo find themselves in a similar position with the use of this new song a few nights ago on another FOX show, So You Think You Can Dance. Used as the background accompaniment in a dance by finalists Amy and Robert, reaction after the performance came quickly and the song leaped into the top 100 on iTunes. It will be serviced by Epic to radio soon. Although much slower than their past single, the song is also very heartfelt, with a burst of strings and powerful vocals at the end and an emotional drive behind the narrator’s request to “say something, I’m giving up on you.” Let’s hope that radio doesn’t give up on this one as quickly. Hello again, you five friends from Colorado. Over the past few years, OneRepublic have made a name for themselves on the pop charts, and lead singer Ryan Tedder‘s list of clients in the production and writing department keeps on growing. He recently remixed “I Want Crazy” for Hunter Hayes, and now, his band are all over Australian radio with this song that appears to have exploded out of nowhere. At the moment, “Need” is only being fully promoted at radio and retail in Australia, where the song appears headed for a top 5 placing on the national ARIA charts there. (You’ll see on iTunes that it’s also placing in the lower rungs in other countries largely in Europe, but nothing worth pointing out.) With “Counting Stars” still building in the United States at radio and selling at a moderate pace, it will be some time before we know if “Need” will end up as a fourth single from Native here, largely due to the fact that all of their previous releases from this era have been mid-charters at best. Could this be a game changer given the initial positive signs from down under? Not so fast. “Need” is a solid pop/rock song, but it doesn’t sound like a hit, at least for the sake of the U.S. market. At least, I always thought of it as an album track. Plus, I don’t think you’ll exactly see Tedder crying into an empty piggy bank. The band is promising an entertaining video for the single, so maybe that can spike interest in an average song. That’s something it really needs. Does “something” tickle your fancy from the two new singles listed above? Let me know! Comment below, follow the blog below or click the “Get Social!” page to find PGTC on social media.